If you like reading this article, consider joining the crew of all reader-supported Evergreene Digest by contributing the equivalent of a cafe latte a month -- using the donation button on the right — so we can bring you more just like it. Nov 21, 2016 | Americans talk about democracy like it’s sacred. In public discourse, the more democratic American government is, the better. The people are supposed to rule. Nov 23, 2018 | Even in the pantheon of maligned features of the American republic—gerrymandering, the Senate, first-past-the-post, voter repression—the Electoral College stands out. It’s a chimera, a system that serves as a rubber stamp when it’s working well, and as a massive, semi-automatic check on the popular will when it’s not. Formed as a deliberative body, it now has only a ceremonial semblance of such a function. The position of elector is essentially a sinecure that conveys no real financial or reputational rewards. Almost half a century before Donald Trump became president, his victory was nearly undone. It was a close thing: The House of Representatives easily passed a constitutional amendment that would have eliminated the electoral college. The Senate was getting closer and closer, just a few votes shy of the required two-thirds majority. Then the midterms came along, and Senator Birch Bayh of Indiana, an auteur of constitutional amendments second only to James Madison, was forced to shelve the proposal. Parker Richards is an editorial fellow at the Atlantic. This misguided attempt to subvert the Constitution (is) partisan and historically ignorant. It overlooks … that the Electoral College has produced … a stable political system that forces politicians to reckon with our nation’s diverse needs. Now you can follow Evergreene Digest on Facebook. Democrats figure that since they can’t reason with the president, they’ll match his $5.7 billion figure with a funding bill that enhances “border security,” but doesn’t contribute to building an actual wall. February 13, 2019 | In El Paso, Texas, not far from where President Trump delivered a speech riddled with falsehoods and jingoism at a pro-wall rally on Tuesday, at least nine Sikh men reportedly fleeing persecution in India have been on hunger strike in an immigration jail known for weeks. The asylum seekers are protesting their detention and the conditions of the jail, and Immigration and Customs Enforcement (ICE) officials have responded by force-feeding the men, throwing them in solitary confinement and threatening them with deportation when they refused the force-feeding, according to the Detention Watch Network. Mike Ludwig is a staff reporter at Truthout and a contributor to the Truthout anthology, Who Do You Serve, Who Do You Protect? In 2014 and 2017, Project Censored featured Ludwig’s reporting on its annual list of the top 25 independent news stories that the corporate media ignored. February 7, 2019 | “Make America Cruel Again.” That’s how journalist and Pulitzer Prize-winning author David Shipler has reformulated Donald Trump’s trademark slogan. Shipler’s version is particularly apt when you think about the president’s record over the last two years on refugee resettlement and other humanitarian-related immigration issues. President Trump’s border-wall obsession and the political uproar over it have dominated the news, while the alleged dangers of undocumented immigrants — whose numbers he wildly exaggerates— have dominated his rhetoric. But the way he’s altered immigration policy affects many more people than just the migrants arriving at the US-Mexico border who are at the center of the wall debate. Many of those currently or potentially harmed by his actions are not outside the law, but are in the United States legally, some with permanent residence status and others on a temporary or provisional basis. Many more, including tens of thousands of refugees who would be eligible for resettlement, are seeking entry or lawful residence through normal immigration procedures. Democrats Totally Cave on Border: Give Trump All He Wants, Get Nothing In Return. 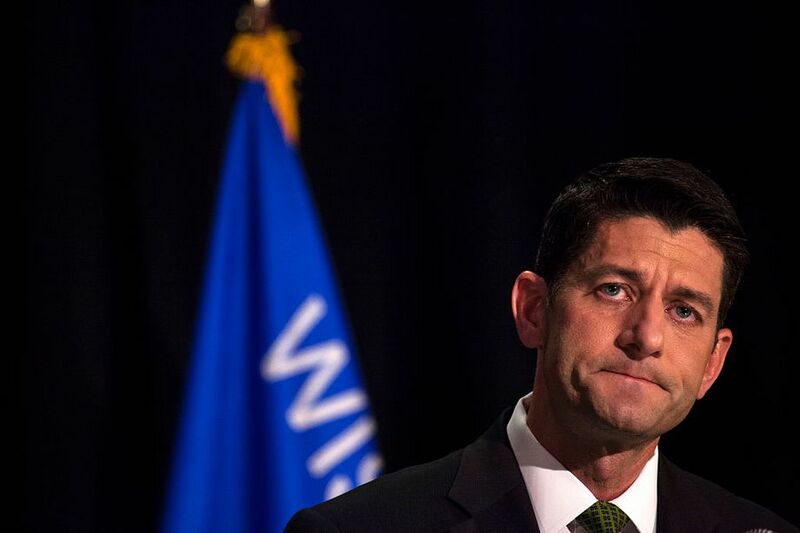 February 12, 2019 | Republican and Democratic lawmakers last night reportedly came to an agreement on border enforcement funding to avert another government shutdown before the Friday deadline. Yet after all this drama, it's unclear if Democrats accomplished much beyond virtue signaling to their base. If anything, they may have given Trump a green light to forge ahead with his draconian interior enforcement agenda without any meaningful oversight of Immigration and Customs Enforcement (ICE). / Shikha Dalmia, the Week columnist, is a senior policy analyst at Reason Foundation, a nonprofit think tank advancing free minds and free markets. She is a Bloomberg View contributor and a columnist at the Washington Examiner, and she also writes regularly for Reason, The Wall Street Journal, USA Today, and numerous other publications. We have Democrats actually playing his game, trying to give him more money for DHS, trying to give more money, which can be—and … will be—used to continue to detain people. Can Trump’s Wall Survive His Fake Emergency? billion to build 55 miles of new border barriers out of steel, far less than the $5.7 billion he requested.Congressmembers Alexandria Ocasio-Cortez, Ilhan Omar, Ayanna Pressley and Rashida Tlaib issued a statement that they voted against the bill because it gives more funding to Immigration and Customs Enforcement. “That is the right thing to do. We’ve been pushing for Democrats to do the right thing, to stop playing [Trump’s] games,” says our guest Erika Andiola, chief advocacy officer for RAICES, the Texas-based Refugee and Immigrant Center for Education and Legal Services. Read more about Democrats Totally Cave on Border: Give Trump All He Wants, Get Nothing In Return. Why millions of people are getting hit with a surprise tax bill this year. 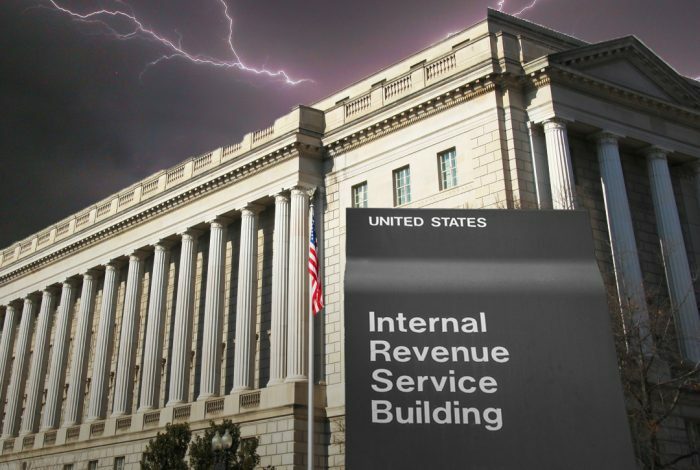 February 6, 2019 | Americans who are accustomed to receiving an income tax refund tend to file their taxes early — often in late January or early February when all the paperwork becomes available — but this year many early filers are finding to their surprise that they actually owe money to the IRS. Republicans are now facing a backlash from an angry public that includes millions of people who were expecting tax refunds that they are now not going to get. A tweet rounding up other tweets from displeased early filers went viral because the user, @smarxist, deliberately singled out people who are mad at President Donald Trump for raising their taxes. 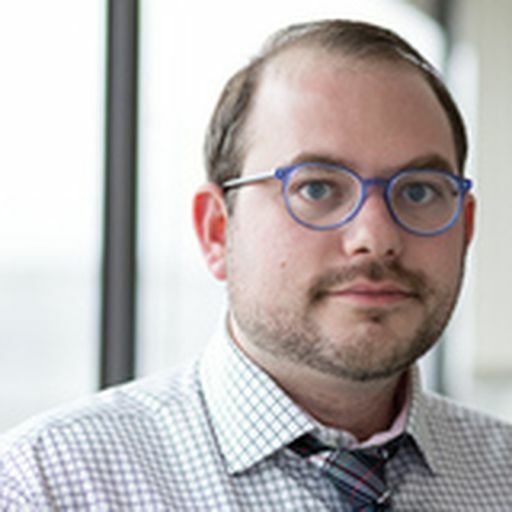 / Matthew Yglesias, Vox co-founder with Ezra Klein and Melissa Bell, currently is a senior correspondent focused on politics and economic policy, and co-hosts The Weeds podcast twice a week on Tuesdays and Fridays. Read more about Why millions of people are getting hit with a surprise tax bill this year. Biggest Threat to Single-Payer? Democrat Support for a Public Option. “Access to affordable health care” is not the same thing as a guarantee to comprehensive health care. Single-payer advocates, jubilant about record support in Congress and in public polls, have responded to the midterm success by boldly pushing for a floor vote on Medicare for All (H.R. 676) during the 116th Congress. This move would not result in a law as it has no chance in the Senate. It would, however, represent a huge symbolic victory and, ideally, plant HR 676 as the centerpiece of the Democratic Party’s health care platform. / Michael Corcoran is a journalist based in Boston. He has written for the Boston Globe, the Nation, the Christian Science Monitor, Extra!, NACLA Report on the Americas and other publications. 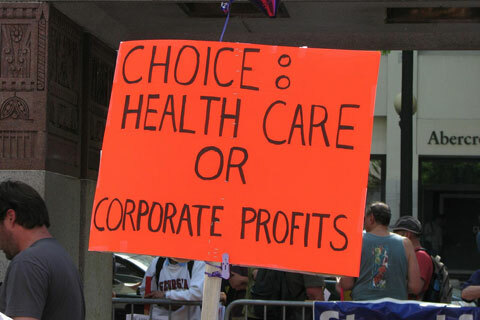 Read more about Biggest Threat to Single-Payer? Democrat Support for a Public Option.